Rio 2016 Olympic bronze medallist Lachlan Tame celebrated a successful comeback to national canoe sprint competition after a two-year break with a couple of wins at the Canoe Sprint Grand Prix II (GP2) at Sydney International Regatta Centre over the weekend (8-10 February). In his first racing back on national level, Tame took out the win in the men’s K1 200 and K2 200 together with Belgium’s London 2012 Olympian and former Wildwater World Champion Maxime Richard. He also won the B-final of the K1 500 and finished fourth in the K2 500 together with Tom Norton (TAS). Tame wrapped up a successful weekend with a win in the K4 500 final together with Jayden Ellis (QLD), Matt Goble (SA) and Jordan Wood (QLD). The team won the tight final in a time of 1:22.00 just ahead of U23 World Champions Joel McKitterick(QLD) and Tom Green(QLD), who teamed up with U23 paddlers Jean van der Westhuyzen(QLD) and Jackson Collins(QLD) (1:22.59). The international combination of former World Champion Etienne Hubert (FRA), Olympic medallist Maxime Beaumont, Maxime Richard (BEL) and Australian Rob McIntyre(NSW) finished third (1:23.26). The men’s K1 200 saw a photo finish and dead heat between Lachlan Tame and Maxime Richard (BEL) ahead of France’s Rio 2016 silver medallist in the K1 200 Maxime Beaumont, who was 0.03 seconds behind. “That was brilliant. That was my first A final against some really red-hot paddlers and it was nice to put in a good race,” Tame said after the K1 200 final. 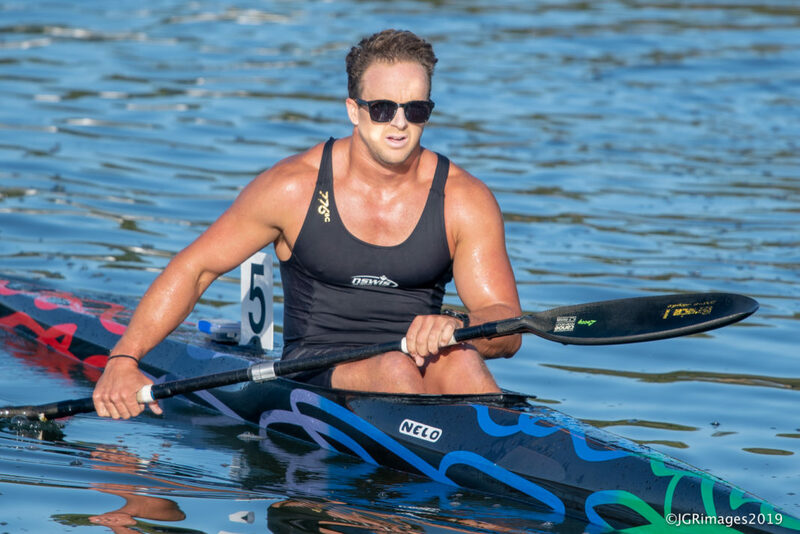 The 30-year old had his first competition back in the boat a couple of weeks ago at the NSW Canoe Sprint Championships and was happy with his performance again some strong national and international competition. “It’s was my first national regatta back. I did NSW State Champs in January, but that was more for me to get the nerves out of the system. I’ve got nothing to prove to myself, I just want to see how I can get back, how healthy I can be and how fit I can get. “And to get a result like that, to be within inches to some really good guys and to some guys who haven’t had such a fruitful break that I’ve had the past two years, it’s really nice,” Tame said. 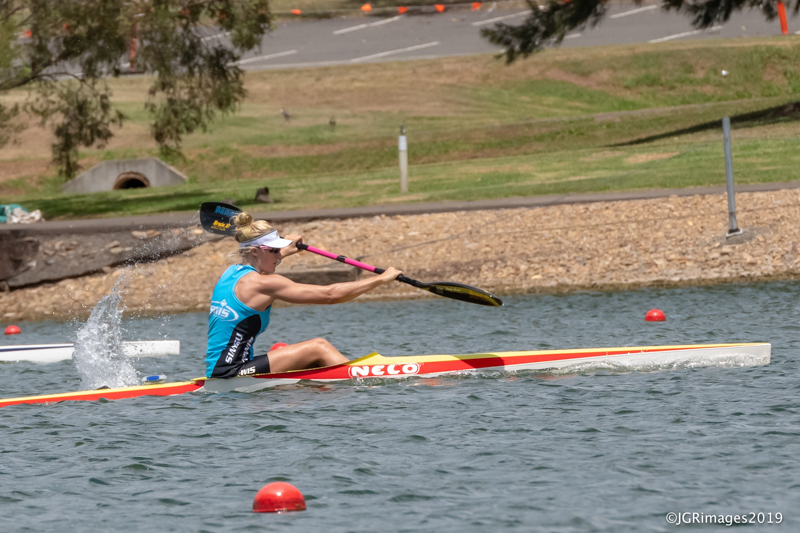 National selections will be up next for Paddle Australia sprint paddlers at the National Canoe Sprint Championships at Champions Lakes in Perth, WA in March and it will be decided there, if Tame will get a shot at the international competitions this year. Selection racing is expected to be tight with a group of young guns pushing to the top, including last year’s youngest Senior A team paddler Tom Green, who competed at both the 2018 U23 and Senior World Championships at only 19-years of age. Green made his first Senior A-finals in the men’s K1 500 where he finished an impressive eighth and followed up with a fourth place in the men’s K4 500 at the World Championships. He also took out the 2018 U23 World Champion title in the men’s K2 1000 together with Joel McKitterick. The pair also proved to be a winning combination at GP2 winning both the men’s K2 500 and 1000. In addition, Green won the K1 500 and K1 1000. “The goal this season is obviously to make the Senior team again and to try and be as consistent as I possibly can in every single race and also across all the distances. We have a lot of high-quality guys in our group at the Gold Coast and every session is a race even when it’s not meant to be and we keep pushing each other and it helps us all build together,” Tom Green said about his goals and the men’s sprint group. Part of this group and amongst the ones to watch at nationals and selections are former South African Junior Canoe Marathon World Champion and U23 paddler Jean van der Westhuyzen, who will compete for Australia this season as well as Jackson Collins. The pair won the men’s K2 1000 U23 and finished second in both the men’s K2 500 and 1000. Also in the women’s events, the youngsters are pushing to the top with NSWIS Junior paddler and 2018 National Junior Team member Kailey Harlen (NSW) one of the stand-outs. Harlen won the WK1 200 18 and the WK2 500 18 together with Sydney Northern Beaches club mate Georgia Weston and also took home the win in the WK4 500 18 together with Phoebe Wills-Grace (QLD), Caitlin Webber (SA) and Ashlee Schoene (SA). The event that drew the most attention though, was the Open women’s K1 500, with Harlen hot on the heels of the Senior paddlers in the heat and semi-final and winning the B-final ahead of France’s Olympians Lea Jamelot and U23 paddler Brianna Massie (QLD). “It’s been pretty good. 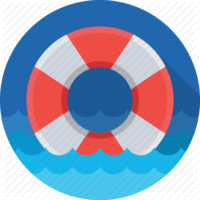 I just wanted to see how I would go against the Open Women at this regatta. Just to see what my potential and threats are for the future and to see how I can push myself more overseas this year at potentially the Junior Worlds,” a confident Harlen said after the race. The up and coming competition from the younger paddlers is highly welcomed by Rio Olympian Alyce Burnett (QLD), who applauded Harlen’s performance. Burnett had another strong regatta following a successful season opening at the GP1 in Adelaide in December. In Sydney, she won the women’s K1 500 ahead of K2 partner and fellow Rio Olympian Alyssa Bull (QLD) with the pair also winning the K2 500. In the women’s K1 200 Burnett finished third behind British Olympian Jessica Waters and Jo Brigden-Jones (NSW). Burnett and Bull also won the women’s K4 together with their 2018 team mates and World Cup medallists Jaime Roberts (SA) and Jo Brigden-Jones (NSW) in a fast time of 1:31.59. In second, U23 team of Ella Beere (NSW), Yale Steinpreis (QLD), Brianna Massie (QLD) and Joanna Charles (QLD). France’s Olympians Manon Hostens, Lea Jamelot and Sarah Guyot teamed up with Cat McArthur (SA) to finish third. “I’m feeling like I’m paddling really well at the moment in the K1, but it’s also really good to jump back into the K2 with Bully (Alyssa Bull) as we haven’t been in it very much lately and the K4 went really well too,” Burnett said about the weekend’s racing. 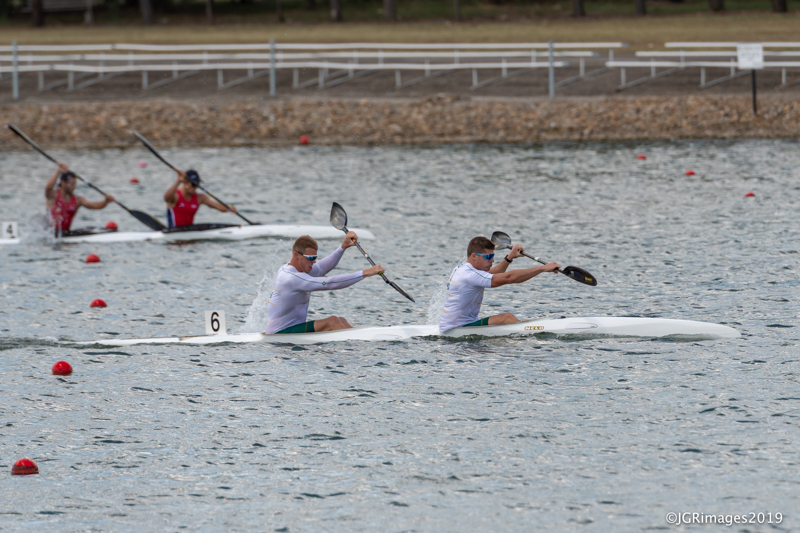 The 2019 sprint series continues with the Canoe Sprint National Championships at Champion Lakes, WA in March (6-10 March 2019). 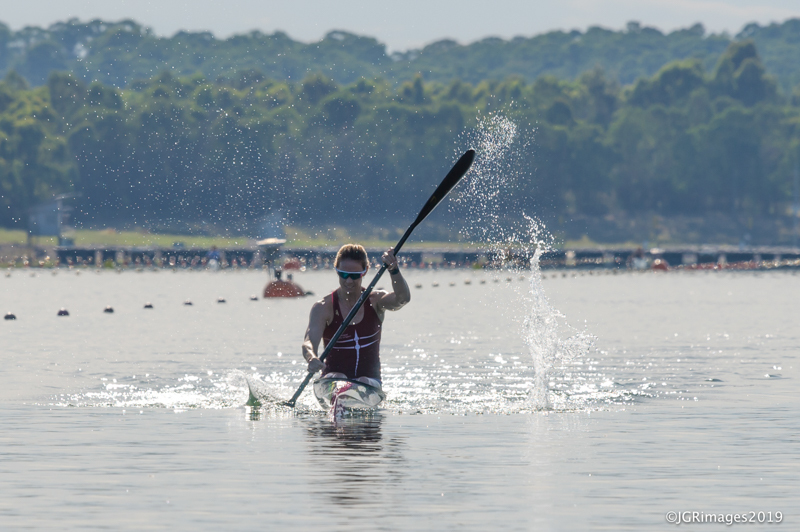 For the first time, the GP2 also included a canoe marathon short-course event with Josh Kippin (SA) winning the men’s K1 and Kate Leverett (VIC) the women’s event. Chau Nguyen winning the women’s C1, who came second behind Bernadette Wallace (SA), who was racing the event ‘unofficially’. 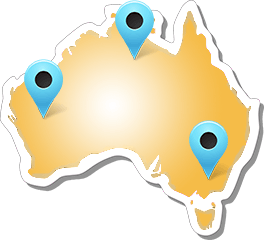 139 athletes from four countries contested the 76 GP2 events over the three-day regatta at the Sydney International Regatta Centre in Penrith. 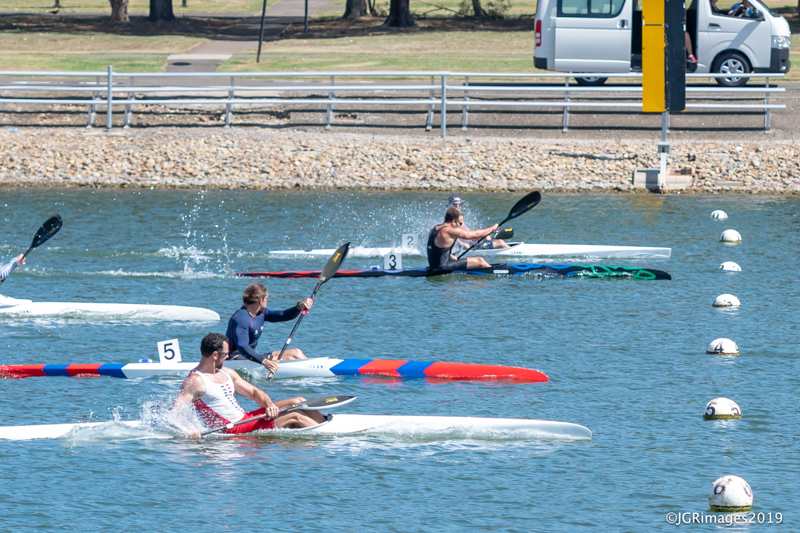 The Canoe Sprint Grand Prix 2 kicked-off a high-calibre month of paddling in Western Sydney, with Penrith Whitewater Stadium hosting the 2019 Sydney International Whitewater Festivalthis coming weekend 15-17 February 2019 as well as 22-24 February 2019. 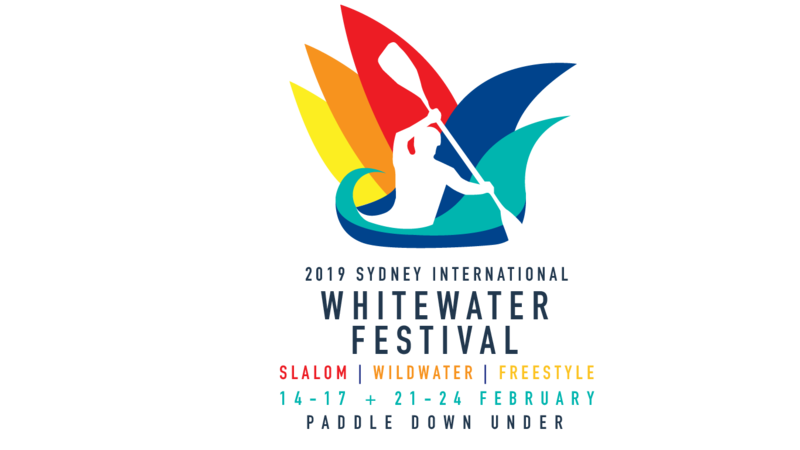 Combining the three whitewater disciplines of canoe slalom, freestyle and wildwater in one event format, the world’s best whitewater paddlers will contest a series of events over two weekends (15-17 February 2019 and 22-24 February 2019) including the Australian Canoe Slalom Open and Oceania Championships as well as the Freestyle Nationals and Oceania Championships and the Wildwater Grand Prix 1 and 2. The best Olympic slalom athletes and a stellar line-up of World Champions and Guinness World Record holders will compete in an action packed, wet ‘n wild Whitewater Festival, showcasing the exciting and thrilling disciplines of the three disciplines. Over 300 of the world’s greatest paddlers from over 30 countries, including several Olympic and World Champions, will compete against Australia’s best, with Australian slalom star, greatest female slalom paddler of all time and Western Sydney local Jessica Foxkicking off the international season on home waters.